How Long Does the Nintendo 3DS Battery Last? The typical battery life for the Nintendo 3DS is between three and five hours if you're playing a Nintendo 3DS game. If you're playing a Nintendo DS game on the 3DS, the battery might last anywhere between five and eight hours. The amount of power you get out of your Nintendo 3DS battery depends on which features you have turned on and to what level. 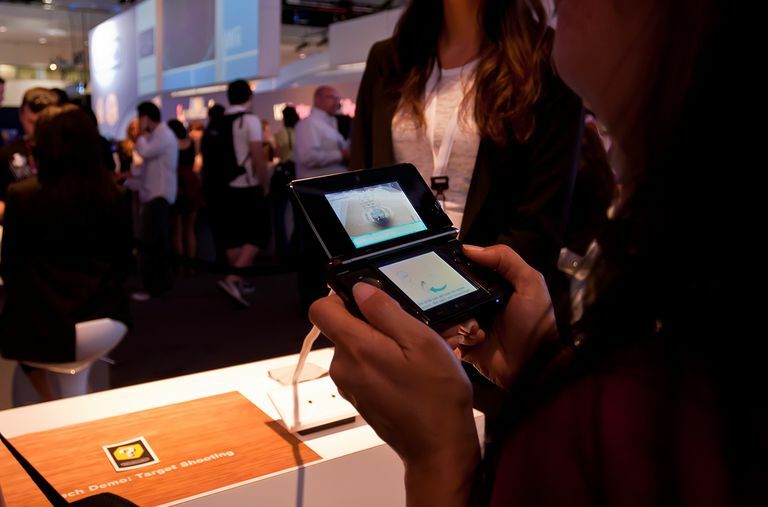 For example, using the 3D function on the 3DS drains the battery quicker than playing games in 2D. Also, if the Wi-Fi capabilities of the 3DS are turned on and if the top screen is set at its maximum level of brightness, you can expect the system's battery life to fade even more quickly. It takes about three and a half hours for the Nintendo 3DS to charge fully — less if the battery isn't run all the way down. It'll take a little longer if you continue to use the 3DS while it's charging. Just plug the charger directly into the 3DS and keep playing. Each Nintendo 3DS comes with a charging cradle, which makes it easy for you to walk into the house and put your 3DS down for a refreshing sleep while you go about your business. You cannot play while the 3DS is in the charging cradle. You can take several actions to extend the battery life of your 3DS. Disable the 3D feature to see an extra hour or more of battery life. Turn on the power-saving mode to get 10 to 20 percent more life from your battery. Stay away from the suspend and sleep modes. Buy an external battery pack with a USB port and use it to charge the 3DS when you're away from a power outlet. Disable the sound by turning the volume down all the way.